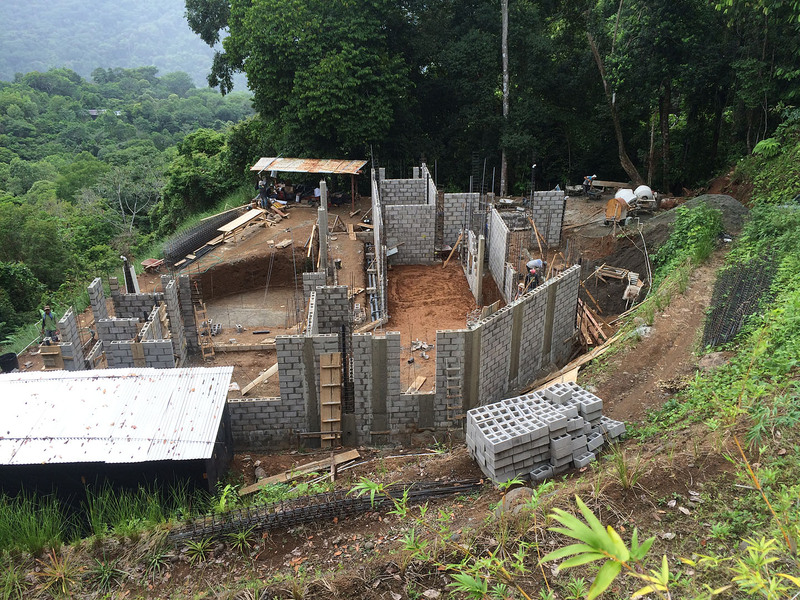 We are at the end of the fifth week of building and progress continued to be strong. 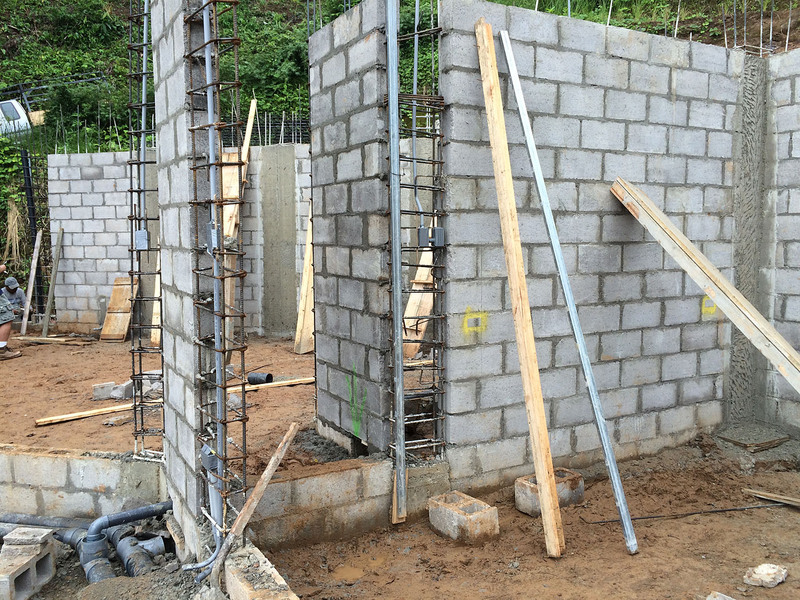 Most all of the block for the first floor walls has been set. 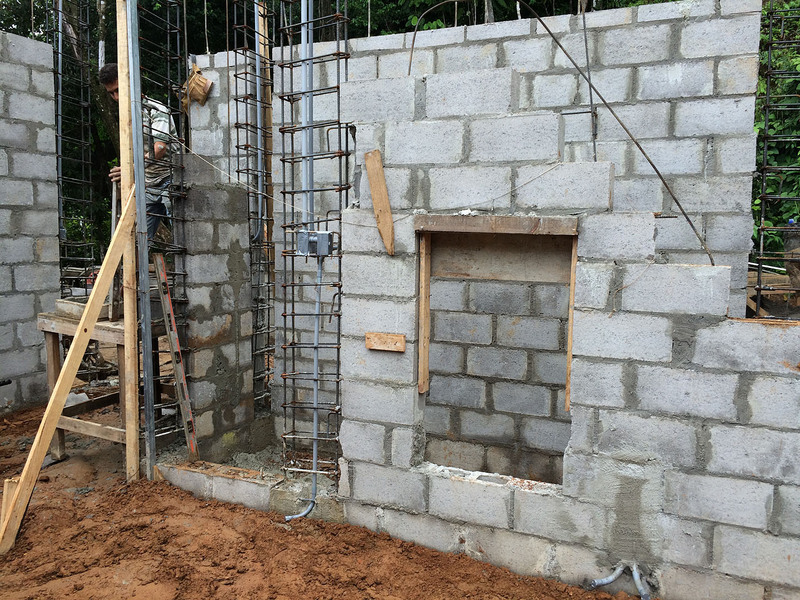 Some of the plumbing waste lines and electrical boxes have been roughed in. 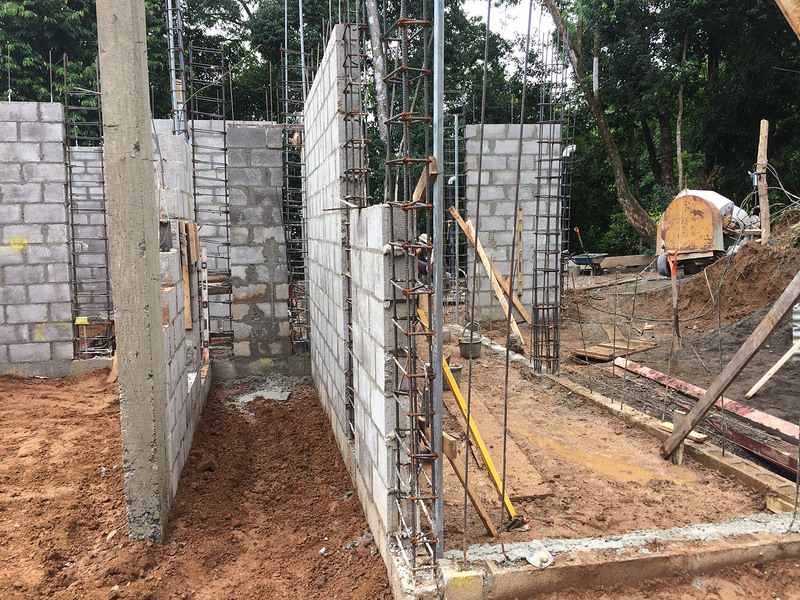 Forming and pouring of the structural concrete columns within the walls is underway. The house is really taking shape now and you can see how big the various rooms are, rather than trying to imagine it when looking at the floor plan. Eddie has been spending time at the property every day keeping an eye on the details and answering any questions that come up. 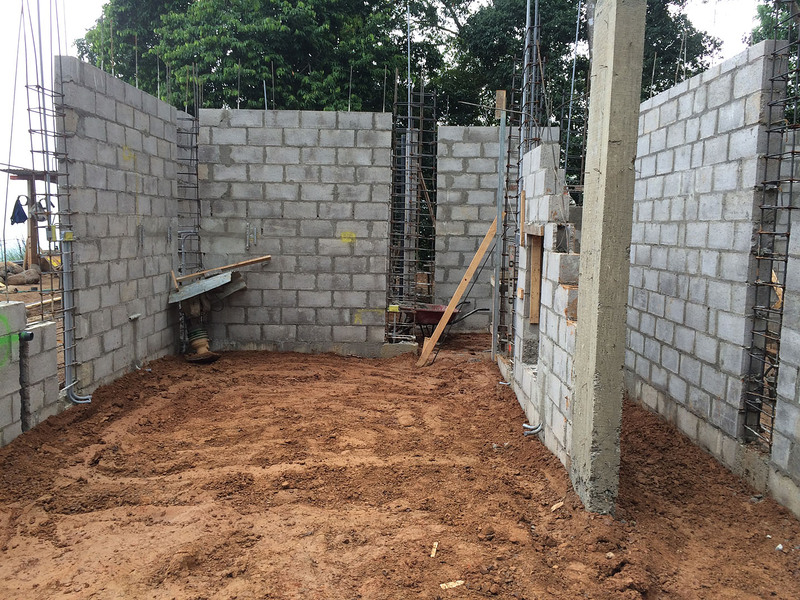 Most of the first floor walls are up. 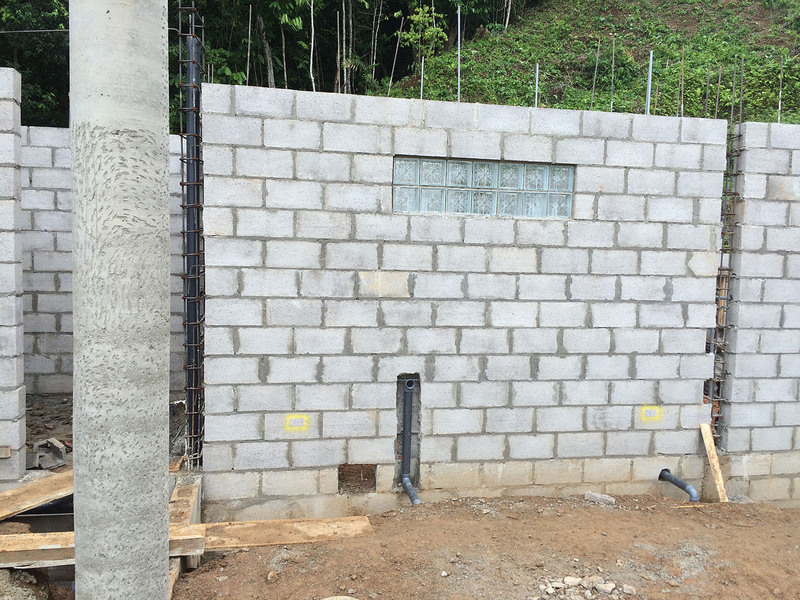 A concrete “crown” beam will be formed and poured across the top of the walls. Kitchen wall with cut-out for microwave and cabinetry. Several waste lines are seen in the wall. The one in the center is for the outside kitchen sink. 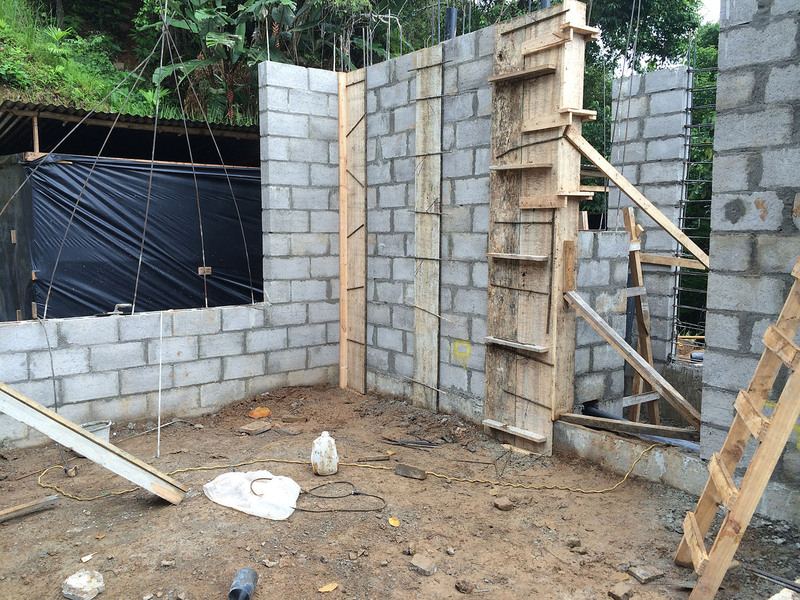 A stairway will go in between the two walls. The main entrance is on the right. This is the kitchen area. Another stairway will eventually go up in this area with a half bath under. Master BR looking towards the living area. This entry was posted in Building our House and tagged house building project. Bookmark the permalink. Wow! Things are really moving quickly now. So glad!!! Love staying abreast of your progress. This blog is the best ever. I am so happy for you both. Have sent several messages on facebook to you and hope we can get reconnected. My retirement dreams are being lived vicariously through you right now!!! Have fun and keep the pictures coming. Thanks so much, Lynn! I’m glad that you’re enjoying our blog. I’ll check my facebook messages so that we can get reconnected. 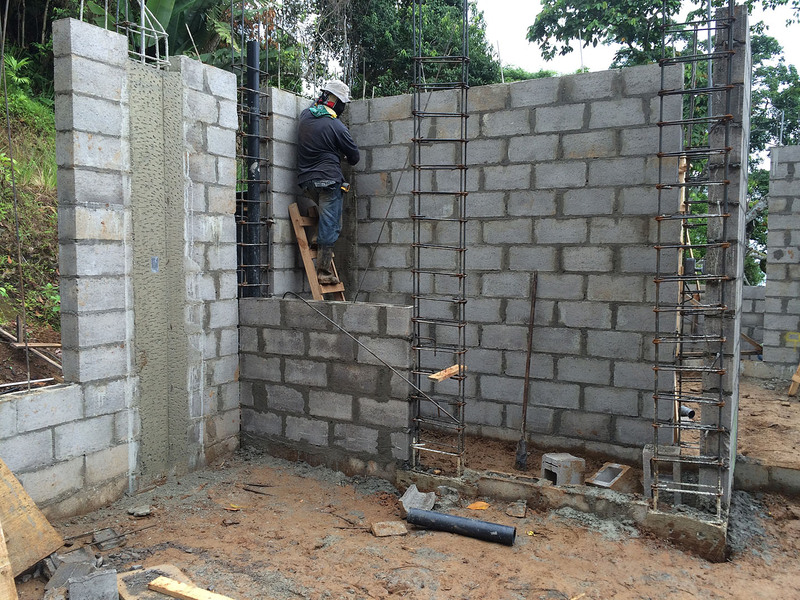 We usually post a building update once a week, so be sure to check the blog often!